Once pan is hot, pour about 1/8 cup of batter at a time, moving it around in the skillet as you pour so it coats evenly and thinly...crepe thin, then flip. Once both sides are done place on wax paper. 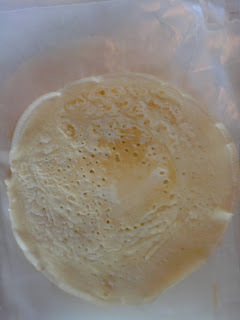 Keep doing this till you have at least 10-15 crepes, separating each with wax paper. mix together until desired thickness. (I have a Magic Bullet, so this is like 20sec in that if you have one). I usually check it, stir it and just tap it through the mix again for like 5 sec. Put whip creme in fridge until crepes are cool....usually only takes about 5min or so. 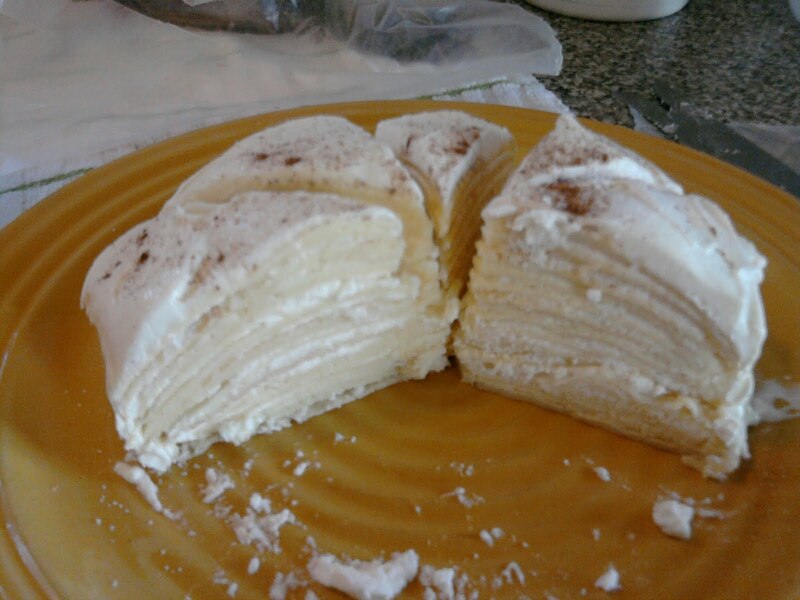 I usually separate out the crepes on their paper to cool as it is much faster. crepe goes on the plate, then spread some whip on top, then layer on another crepe and whip....keep doing this till all are done. 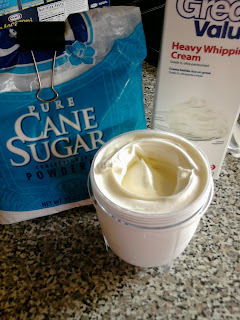 Spread whip all over the top and sides. Sprinkle with cinnamon and reg sugar. If you won't be serving right away make sure it get's in the fridge asap! The sooner you eat it the better, it doesn't keep all that well overnight.